How do we sustain ourselves when we feel compiled to stand up for the truth when others around disagree? Our passage today answers this question. 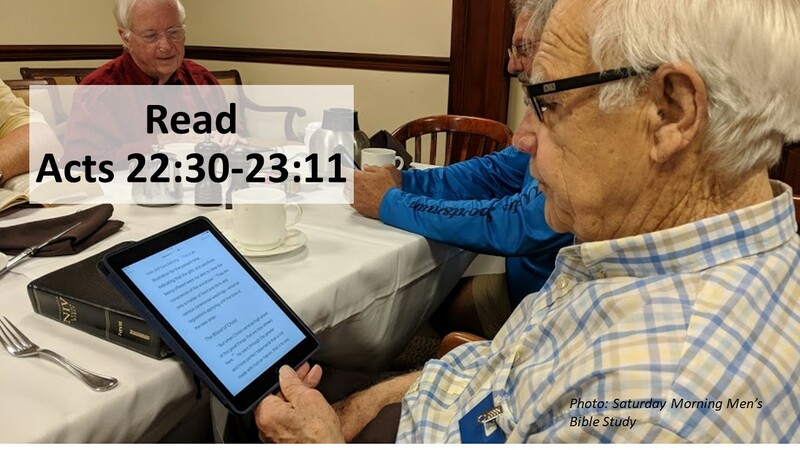 Paul is about to end his time in Jerusalem, as we see today in our walk through the ending of the Book of Acts. 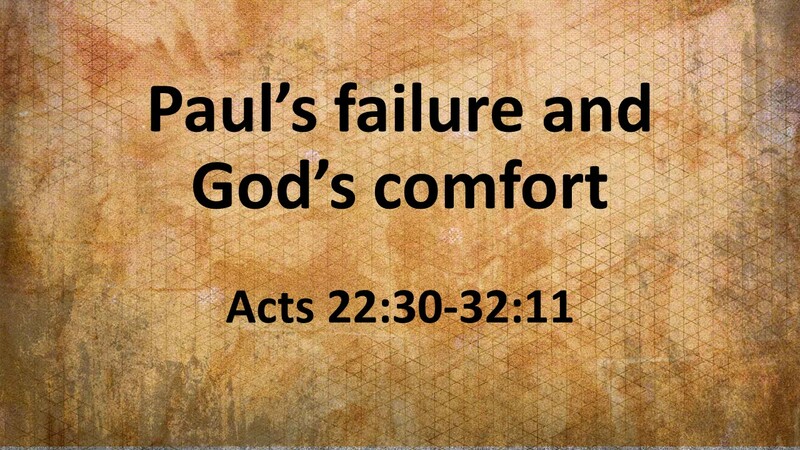 The last two Sundays, we have seen how Paul has been attacked and abused by the crowd. The Romans saved him, but the commander of the Roman presence in Jerusalem wonders just what Paul has done to make so many people mad. Last week, he thought he could “beat it out of Paul,” but changed his mind when he realized Paul is a Roman citizen. Having not been convicted of a crime, such torture against a citizen would have gotten the Roman officer in deep trouble. So today, he tries something else. Let’s see as we read. Read Acts 22:30-23:11. Three strikes and you’re out. Ever since Paul left Ephesus in Acts 19, there has been tension about his upcoming trip to Jerusalem. Against the advice of friends, Paul made his way to the Holy City, knowing things would probably not go well. 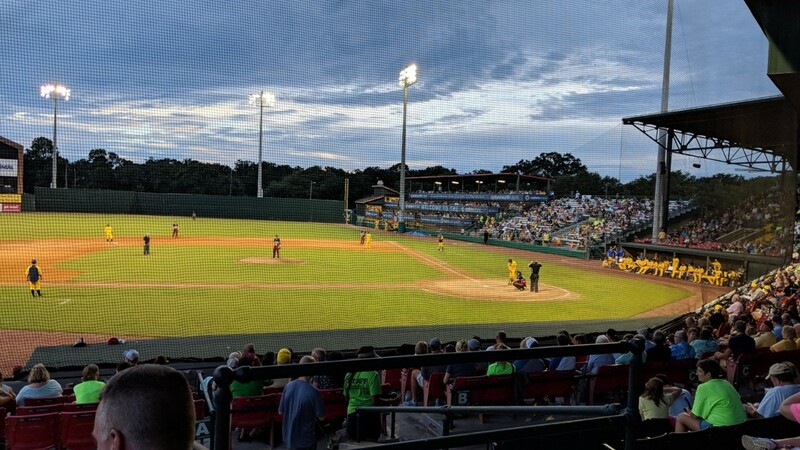 Paul’s trip to Jerusalem was kind of like it was for the Macon Bacons coming to Savannah this past Tuesday, in which 40 some of us were in attendance to cheer on the home team. How can we endure troubles and unpleasantness when we find ourselves unpopular in the world? As we’ve seen over the last two weeks, there’s been rioting and an attempt to kill Paul. It’s going to get worse. Knowing the circumstances, we might ask, why did he go there? There’s something wise about avoiding trouble. Even the Book of Proverbs encourages us to avoid the snares of death. But Paul was convicted by God. Paul knew he had to go to Jerusalem. And even though Paul faced troubles, he knew God was with him. And what did Paul accomplish by going to Jerusalem? Paul’s batting average in Jerusalem wasn’t good. We’re not told of any converts made. No one seems to be persuaded by his preaching. Instead, he swings and misses. 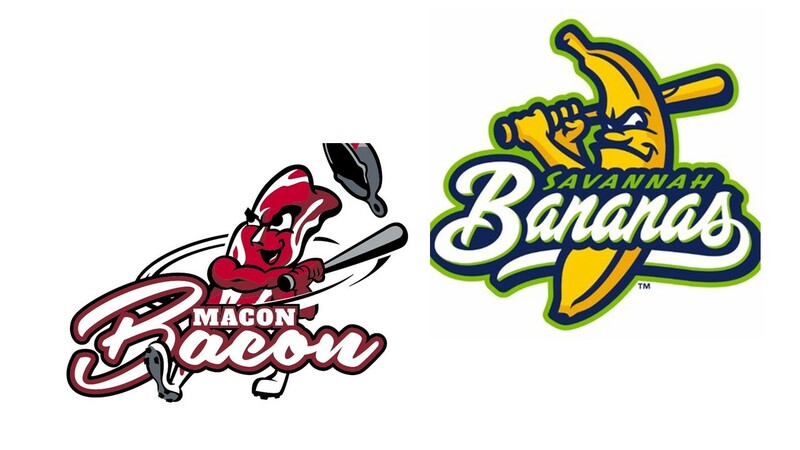 In a way, Paul was kind of like the slugger for Macon this Tuesday who struck out in the first inning, winning a free banana donut for everyone in the crowd. Although, as far as I know, no one received any such treats in Jerusalem. 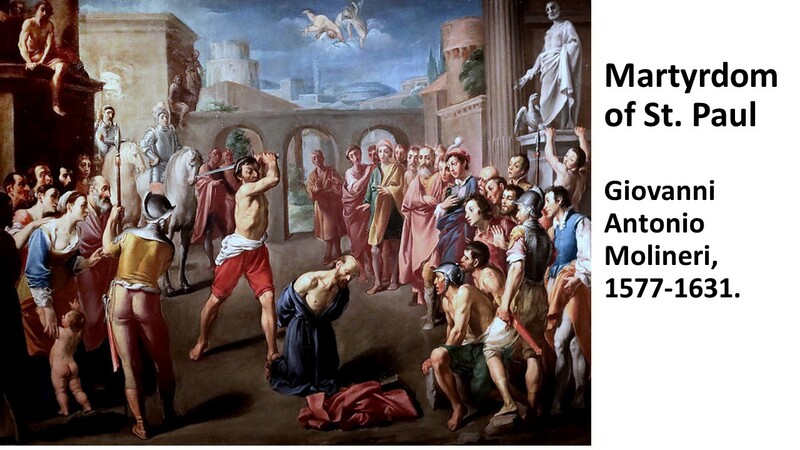 Paul’s first strike was when he was attacked by the mob at the temple. (Actually, he received more than one strike, as they were beating him). His second strike was when he addressed the crowd after he was saved by Roman soldiers. They listened for a while, then they rose up against him and the soldiers had to pull to safety. And today, for strike three, he addresses the Jewish Council. Why did Paul endure this? What’s God up to? As the book of Job reminds us, we don’t know what’s going on behind the scene, within the heavenly council. We are mortals. We are to be faithful to our calling and to do that which we feel called the best we can. Paul may have even wondered why he was in are natural. Four months before accepting the call to come to Skidaway, I had been offered another call. I agreed to come and preach before the congregation, but as the weekend approached, I realized all was not well in this land of new possibilities. There was a very vocal minority within the congregation who let it be know they had a problem with my more orthodox theology. While I knew there were unsettled things before me, I went to that church for a weekend visit. Those who felt my position was too conservative came out in force and it made it a difficult few days. My words were twisted. I felt verbally abused. But strangely, I never doubted that I wasn’t supposed to be there. I got up that Sunday morning and preached, like Paul, with a clear conscience. I felt God’s presence. Members of the Pastor Nominating Committee were blown away. They had watched a dozen or so of my sermons, and liked what they had seen. Several of them told me this was by far the best and most forceful sermon they’d heard from me. But when it was over, I knew that if I had accepted that call, I would split the church. God let me know that I had done what I was supposed to do. So I turned down the call. It was hard. It was as if I was a dog leaving with my tail between my legs. I felt as if I was pawn in some cosmic chess match. This week, when pondering this text, my experience in the winter of 2014 came back to haunt me. I expect that Paul, too, felt as if he was a pawn in some cosmic chess match. It happens. Ever have to stand up for what is right? Ever have to stand up for the truth when there is a hostile crowd in your face? Have you had to stand up to a bully. We might get a bit bloody, but we must remain firm because we know it is the right thing to do. Sometimes, like Job, we just don’t know what God is up to. We have to trust the Almighty and be assured that God is with us. 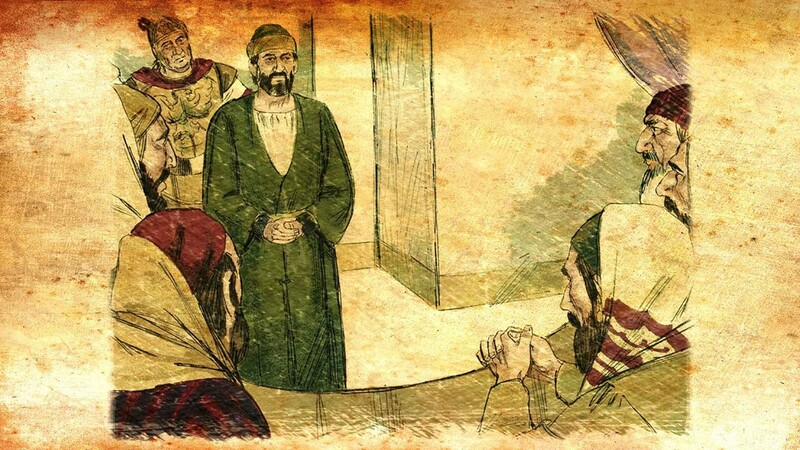 Our text begins with the Roman commander arranging for Paul to meet before the Jewish Council, also known as the Sanhedrin. The commander is charged with keeping peace in Jerusalem and Paul appears to be a lightning rod for trouble. Everywhere he goes, a riot nearly breaks out. 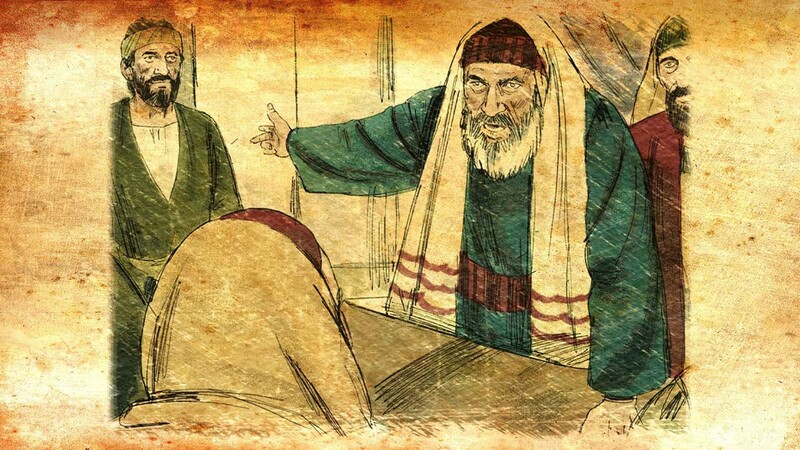 Wanting to understand what’s causing this, he goes with Paul to meet with the Sanhedrin. The meeting doesn’t start well. 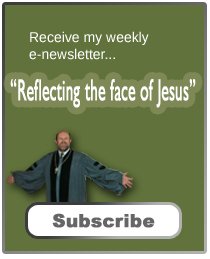 Paul proclaims his innocence and his clear conscience, which doesn’t mean that Paul sees himself as sinless. Instead, Paul knows he has been cleansed through Christ. He also knows that as a Jew, he was kept the law. That’s why he can have a clear conscience. But the Council doesn’t see it that way. Ananias, the high priest orders Paul to be struck in the mouth. As a high priest, it should be noted that Ananias wasn’t well thought of, even by many of the Jewish leadership of the day. 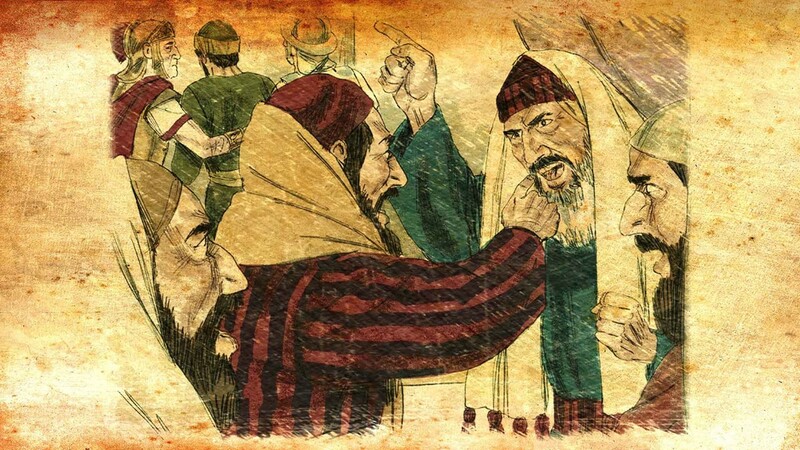 Josephus, a Jewish historian writing a few years later, spoke of Ananias habit of having priests beaten for not giving him all the tithes they’d collected. They were only required to give a portion and to use the rest to live on. The result of Ananias’ behavior, according to Josephus, is that a few of the older priests starved to death. This dude was evil. He was corrupt. Paul responds to the slap with a strange sounding Jewish curse, calling the priest a whitewashed wall. Paul suggests that the High Priest is like a dirty wall that’s been painted white to cover up the filth. Jesus says something similar in the list of woes against the scribes and Pharisees in Matthew’s gospel. “You are like whitewashed tombs, which on the outside look beautiful, but inside they are full of bones of the dead and all kinds of filth. Paul’s response surprises the members of the council. Asking why he speaks in such a manner to the High Priest, Paul pleads ignorance. He didn’t know the man was the high priest, saying that if he had, he would not have spoken in such a manner. There is some debate as to whether Paul really didn’t know his identity, or if he was just implying that he High Priest wasn’t acting like one. Paul then tries another tack. The council is made up of two groups. The Sadducees did not believe in the resurrection. They saw this life as being it. But the Pharisees, of which Paul was one, did believe in the resurrection. So Paul claims he is being put on trial because of his beliefs in the resurrection. 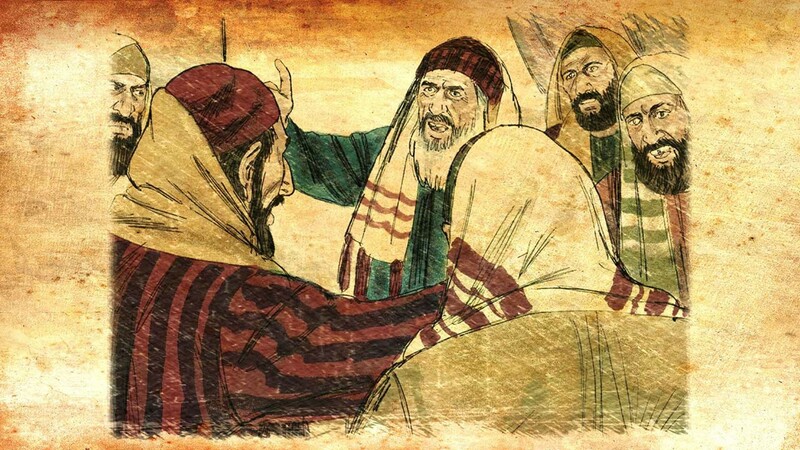 Paul has now created a classic relationship triangle, as he pulls the Pharisees on his side, over against the Sadducees. Pretty soon, another riot is about to erupt, and the Romans pull Paul from the room and take him back to the safety of their barracks. From what Luke tells us in the Book of Acts, Paul struck out in Jerusalem. This is his last speech in the Holy City and we’re not told of any converts made. 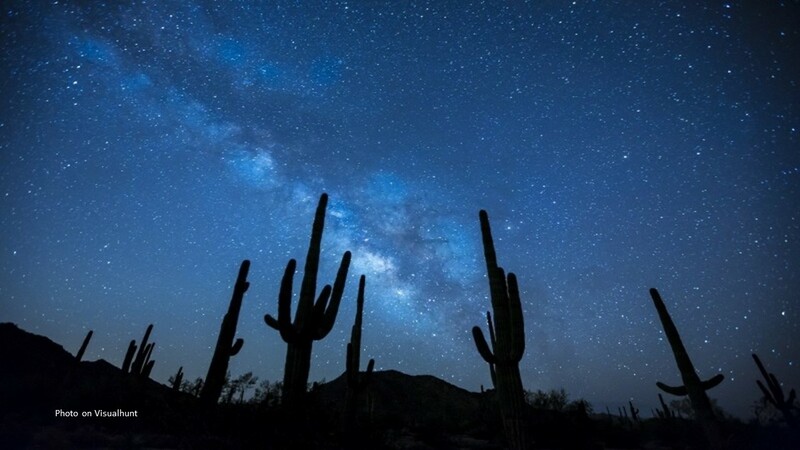 Paul must have wondered what he was doing there, but that night the Lord reassured him of his presence and of how that he has now bore witness in Jerusalem, he’s going to be sent to Rome, the center of the world in the first century. Jesus tells us that those who are faithful with a little, will be a ruler over much more. Paul, who was faithful in this backwater town on the fringe of the Roman Empire, will now have an opportunity to testify before the people of the most powerful city in the ancient world. You know, many of God’s witnesses have been abused. Paul wasn’t the first one, nor the last. Remember Stephen? He was stoned. Think about Jeremiah. He was thrown into a cistern. Many of the disciples died horrible deaths. The gospel is clear. Following Christ does not necessarily mean that we’ll have life without trouble. But it does mean that we will have a life in which we are never alone. We are to do what we know is right and be assured the Lord will be there beside us. Jesus will see to it that we are comforted and guided. We’ll be eternally protected and when this life is over, he will welcome us home. Imagine what the world would be like if Christians were embolden to speak the truth. What if God’s people trusted God’s presence enough to help fulfil Jesus’ vision of a world of love and kindness and peace? As people of faith, we should be able to endure anything because we are never alone. If we all believed that, imagine the possibilities. “Keep up your courage,” the Lord told Paul. Keep up your courage. Hold tight to the faith. 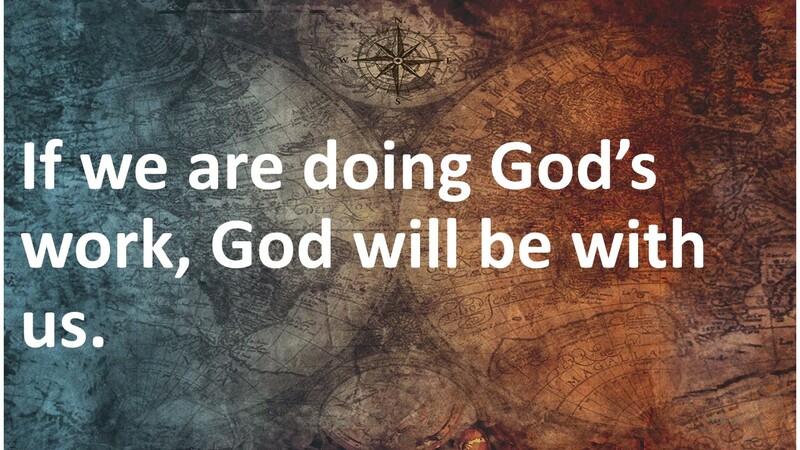 If you’re doing God’s work, God will be with you. Amen. Josephus, The Antiquities of the Jews, Book 20, chapter 9, paragraph 2. Matthew 23:27. Johannes Munck, The Anchor Bible: The Acts of the Apostles (New York: Doubleday, 1967), 222. Beverly Roberts Gaventa, Acts (Nashville: Abingdon, 2003), 313-314. Beautiful, timely message, Jeff. Thanks.